Important messages deserve influence. Good ideas often die in the heads of their creators. Don’t let yours become another casualty. The technology exists to bring them to life. Independently publishing a book, e-book, and audiobook is the best way to get certain types of messages out to the world in a form that is versatile, profitable, convenient, and respected. Identity Publications works with a select number of authors each year to write, design, publish, and promote their unique and influential nonfiction books. With your nonfiction book polished and promoted on the open market, you will have a powerful new tool to find fulfillment, grow your personal brand, and reap financial reward as you witness your life’s work enjoyed by others. Want to learn more about our approach to writing and publishing important books? 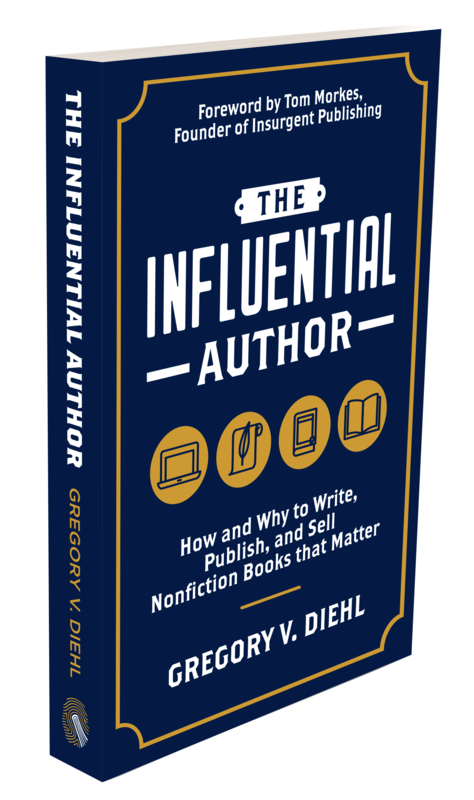 Click here to check out our latest publication, The Influential Author: How and Why to Write, Publish, and Sell Nonfiction Books that Matter by founder Gregory V. Diehl. The Influential Author probes deep into the philosophy and strategy behind what it takes to create a meaningful book that is as commercially successful as it is socially impactful. Ready to Talk about Publishing?